Despite recently released videos of sharks swimming in the surf off of Maryland's beaches, local official Buford W. Cashlicker is assuring residents and visitors that there is no shark problem because there are in fact no sharks. When asked if he had seen the video of what appears to be a shark near 30th Street, Mr. Cashlicker responded "yes I've seen it and I've also seen videos of UFO's in Arizona, Big Foot in Maine and the Loch Ness Monster in Scotland or Ireland or Kabukistan or wherever in the hell he's supposedly hanging-out these days." the shark problem my friend." Mr. Cashlicker, who owns four local carry-out restaurants called Leggo My Burrito (the name of which is currently the subject of a lawsuit with Kellog's), went on to explain that "it's probably just a shadow or a bunch of damn kids pulling a stunt but as you see, it's a beautiful day, the beaches are open and people are having a wonderful time." 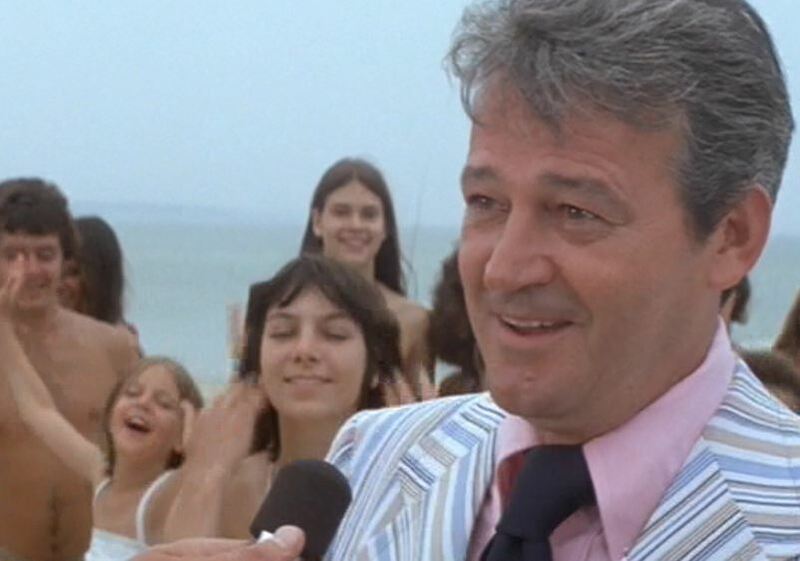 When asked if local officials planned to enlist the help of the scientific community to determine if there are in fact sharks in the area, Mr. Cashlicker muttered the word "nerds" before departing in his powder blue Cadillac convertible.